Cash for Cars in Salt Lake City and FREE Girl Scout Cookies today! Posted March 11th, 2014 by CarSoldForCash & filed under Uncategorized. Cash for Cars in Salt Lake City & FREE Girl Scout Cookies! It is the month of March! What’s cool about the month of March? March Madness AND of course, Girl Scout Cookies! In fact, Big Tane (who drives around giving folks cash for cars in Salt Lake City all day) has the back of his Yukon filled with Girl Scout cookies! He’s got Samoas, Thin Mints and other favorites filled to the brim of his car! Cash for Cars in Salt Lake City AND FREE Girl Scout Cookies – While supplies last! … Needless to say, he’s got the Girl Scout Cookie thing HANDLED! Right here in Salt Lake City! This is the deal. When we give folks cash for cars in Salt Lake City, UT we will give them a FREE box of (everyones favorite) Girl Scout Cookies to you – no strings attached! Just enjoy! In this video Big Tane trades cars for cash in Salt Lake City & FREE Girl Scout Cookies! Yes. 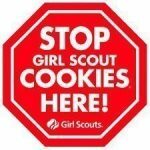 It is March and we are giving away Girl Scout Cookies to folks who sell us their cars for cash ALL over Salt Lake City, UT! Running or Not – Here We Come!! Give us a call today! We want to give you cash for your car and a box of Girl Scout Cookies in Salt Lake City today! Remember – What else is coming up in March? ST. PATRICK’S DAY! We have had more interest in our drawing for the FREE Mercury Topaz and YES! We are still ready to give that car away to one lucky person who really could use a set of wheels to get around town in.